As reported earlier this week, Microsoft has merged the Office 365 Roadmap into a new Microsoft 365 Roadmap. The ability to filter roadmap items via feature (like Outlook) or service (like SharePoint Online) has always been in the roadmap, but it’s even more useful to use the Download button to write the filtered items (or the entire roadmap) to a CSV file that can be analyzed using Excel or imported into Power BI. This was supported for Office 365 in the past, now you can include Windows 10 and Enterprise Mobility & Security roadmap items. The downloaded file is named Microsoft365RoadMap_Features_date.csv. Id: A five-digit identifier for the roadmap item. MoreInfoLink: If available, the URL to a page containing extra information about the roadmap item. Added Date: The date that Microsoft originally added the item to the roadmap. The date is in U.S. format, so 8/29/2018 is 29 August 2018. Last Modified: The date that Microsoft last updated the item. PublicDisclosureAvailabilityDate: The time frame that Microsoft expects the roadmap item to be available to customers. This might be as specific as a month or use a longer period, such as Q4 CY2018 (fourth quarter of calendar year 2018). Microsoft intends that customers can use the information in the download file to help plan for the introduction of Microsoft 365 features into their tenant. Given the number of changes that happen within Office 365 and the other Microsoft 365 components, it’s a worthwhile advice. 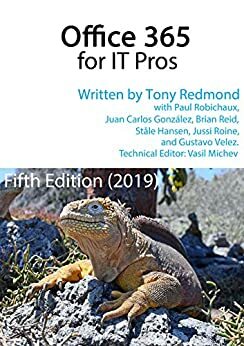 We cover the topic of keeping up to date with Microsoft 365 in Chapter 1 of the Office 365 for IT Pros eBook. But keeping up to date is what we’re all about, so the entire book reflects our best effort at documenting what’s current inside Office 365. We hope that you like that.